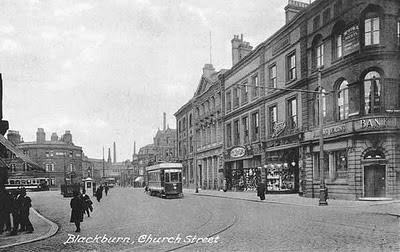 This photograph would have been taken from the corner of Church Street and Victoria Street, the corner that Littlewoods would eventually occupy. 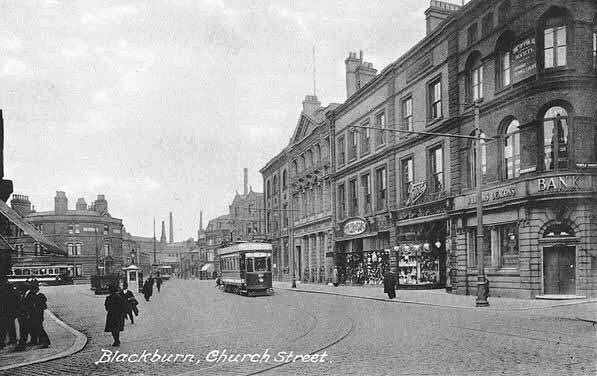 Looking towards Salford Bridge, with Railway Road to the right, just beyond the tram. The Bay Horse is clearly visible on the left of the image. Note the white telephone kiosk by the underground toilets. I'm unsure of the era, but at a guess, I would say the 1930's or 40's. Another good Photo of Church St Colin. I think that you are probably right in placing the date as 30's / 40's but it's also possible that it could have been taken in the late 20's. I had a quick look on Google and these Telephone Kiosks were made between 1922 and 1927. I doubt if many people used it though, as privately owned Telephones must have been very scarce in the 30's.